A honeymoon isn’t just the first holiday with your beloved, it is the most significant one too as it roots your marriage. Make it more exhilarating with great honeymoon destinations. Nothing screams love louder than a surprise honeymoon. Motley realizes how overawing that can get, and so we provide you with ready and well-planned honeymoon tour packages. What’s more is that you can customise these plans according to your preferences and interests. 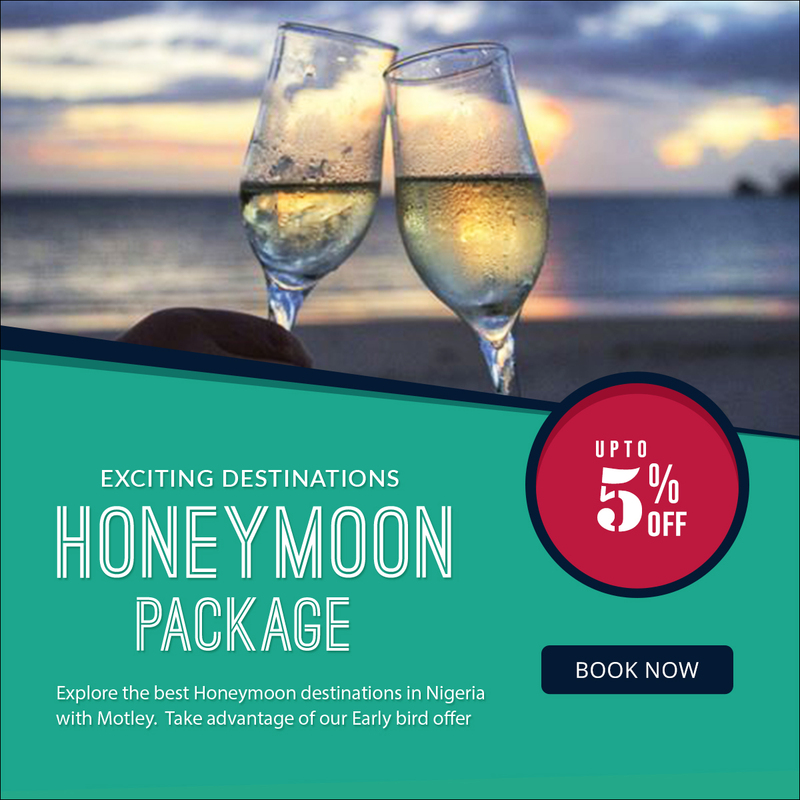 Our honeymoon packages are designed keeping you in mind. With an eclectic mix of fun activities and leisure options, you can be assured of the ultimate experience — one filled with intimacy, romance, and happiness. Come, enjoy your honeymoon in the Obudu, at a cost that will brighten your heart and pocket both. Stay at the gorgeous luxury accommodation and swim with your love across the grotto natural pool. Take a breathtaking walk on the nature trails with the canopy walk and dine at the romantic restaurant on the resort. Visit the Holy Mountains to have a breathtaking view of the Cameroon border and excite yourself with an amazing bird watching and other interesting activities. Closest Airport is the Akanu Ibiam International Airport, Enugu. Airport transfers can be arranged upon request.